Fall isn’t a great season for gardening. That’s what most people believe, at least. But that doesn’t have to be the case! There are a lot of fun things to do in fall. You can plant cold-tolerant flowers, veggies, trees, and shrubs, and it’s cool enough to do any strenuous yard labor you’ve been avoiding all summer. Here’s a list to get you started. Tropical summer bulbs should be dug up before the first frost. Be gentle while removing the bulbs, and store them in paper bags filled with sawdust or shredded newspaper (in a dark, dry place) until spring. Many spring bulbs, like daffodils and tulips, require a cold winter to bloom. Plant them now! Tulips should be planted eight inches deep, and daffodils should be planted nine inches deep. Flowers are still an option during the winter. Many, like petunias and violets, bloom through frosts. Purple is a great color to contrast with the deep oranges and reds of fall, but white and yellow will brighten up the dark days of fall and winter. Now is the time to plant garlic, onion, and shallots for a spring harvest. If you want immediate results, plant radishes, peas, lettuce, kale, spinach, and collards. 5. Plant a winter garden. During the winter, evergreens (such as cedars and hollies) can bring beautiful greenery to your yard. In addition, trees and shrubs with attractive trunks, limbs, and bark can look gorgeous against a snowy backdrop. If you see any limbs that are diseased, broken, or damaged, now is the time to remove them. Just be careful that you don’t damage buds or the plant’s structure. 7. Look to your garden for decor. Seasonal decorations can often be created from your garden. 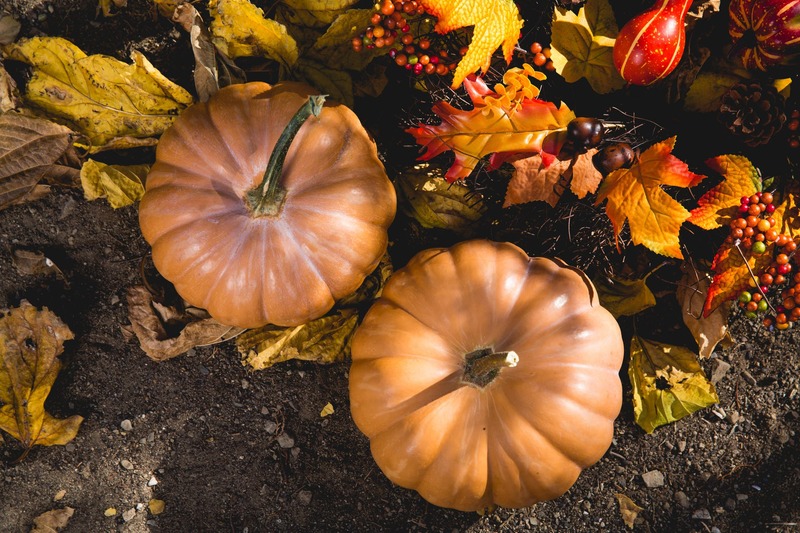 Pumpkins, gourds, and cotton bolls are great choices for fall. If the first frost is approaching, take advantage of any remaining blooms or foliage by turning them into a spontaneous flower arrangement. 8. Plant shrubs and trees. Fall is the greatest time to plant shrubs and trees. You don’t have to remember to water them. Instead, they’ll go dormant for winter. When spring arrives, they’ll have established roots! The cool autumn weather provides a great time to dig and prepare new gardens. When spring knocks on the door, simply mix in some compost or aged manure. Your garden bed will be ready for action.